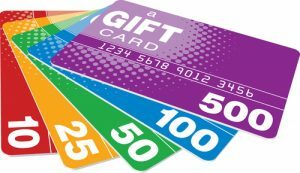 Prepaid cards are among the various options that you can use to pay for online purchases. As the global market keeps on gaining strength, online businesses have stepped up their game in what they offer. The appeal to buy things online have never been as great as it has today. This is why online payments have to step up as well when it comes to providing consumers with a convenient way to make online purchases. Instead of using credit cards, people have found that using the prepaid version is better. But what exactly is an online prepaid card? Virtual prepaid cards are the same as the physical versions. You need to deposit money before you can use it. The only difference is that the transaction is done online. That means you need to be able to access your funds online so you can transfer it to the online prepaid account. Take note that this payment option is not just for online purchases. It can also be used for phone orders. But they are more commonly used for online transactions. What makes this payment method great is the fact that it makes consumer finances safer. The transaction is also more convenient. There are many prepaid cards that can be used to pay for online transactions. Here are three of the most commonly used payment options. This is a digital wallet used to be known MoneyBookers until it was changed to Skrill in 2013. This is a popular payment method for e-commerce, gambling, and gaming websites. If you use Skrill, you can also utilise it to transfer international money to various bank accounts or mobile wallets. This can also be used to send money to other accounts – for family and friends. This may be convenient but it is also an expensive way to transfer money. This is another one of the options you have for online prepaid cards. The EcoCard Payment card is one of the trusted online payment methods that can be used for e-commerce and other virtual transactions. They also have the Eco Virtual Card that is designed for one-time payments. This is usually meant to make the transactions more secure because the card will be canceled after use. This will protect the details on the card and will ensure that it will not be reused. This is another popular option when it comes to online shopping. This online payment method can be used in different currencies. Once you have an account, it will help you make convenient purchases on various e-commerce, gaming, and also gambling websites. The great thing about this option is that you do not need to pay annual fees. There is also no interest. If you decide to use online prepaid cards, you have to make sure that you only go for those that you can trust. Make sure they have a secure system and their website is protected by encryption software programs that can protect your online transactions. More than convenience, security should be your top priority.